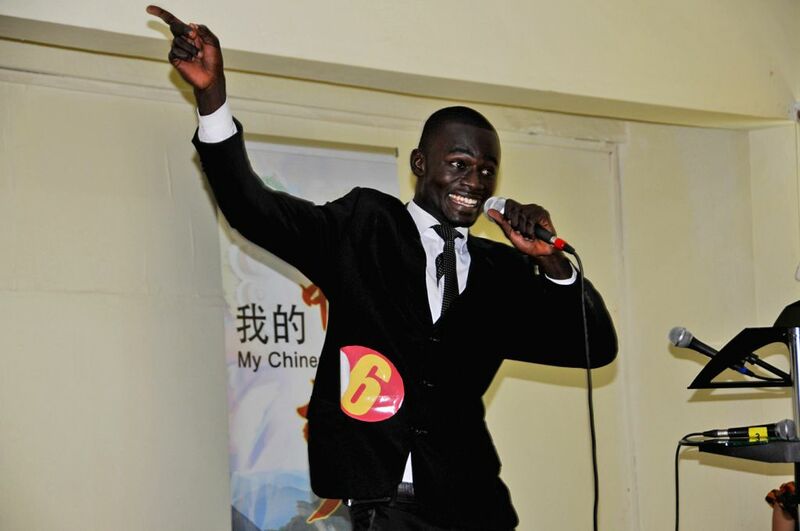 ACCRA, May 18, 2014 - A student performs during the preliminary contest of Ghana section of The 13th "Chinese Bridge" Proficiency Competition on May 17 in Accra, Ghana. The 13th "Chinese Bridge" Proficiency Competition for students of Chinese language and culture was held here Saturday at the University of Ghana in association with the local Confucius Institute. The "Chinese Bridge" Competition is an annual event organized by the Hanban and the Confucius Institute of China since 2002, which aims to encourage foreign students to learn Chinese.